Great write up, I kind of missed the Star Trek boat but I’d still watch this doc, sounds very good. Without sounding corny I got a bit goosebumpy reading the last bit “passion” (though it could be the air con in the office). I always feel fortunate to be able to hear from the film makers – it’s like having bonus features, but live and in person! Been marathoning all five TV series since they were added to Netflix. Can’t WAIT to see this. Yes, they hurried to finish it for this, the 50th anniversary, and it was really cool timing wise to see it right before the release of the newest film – seeing the 3- movie marathon on Wednesday! That’s cool Jay, have fun with that! Gene Roddenberry lived long enough to see the 25th anniversary. Soon, Star Trek will be around without Gene, longer than it was with Gene. Being a Trekkie myself I definitely have to see this! Like Emma, I got the chills reading the part about “passion”. It’s always an added bonus to have the film maker on hand for these bonus questions! I’ve been a Trekkie my whole life (my dad and I watched TOS together when I was just tiny) and Spock/Nimoy has always been my favourite. I can’t wait to watch this!! You’re going to love it. It’s such a love letter to the character. I’d be interested to see this. 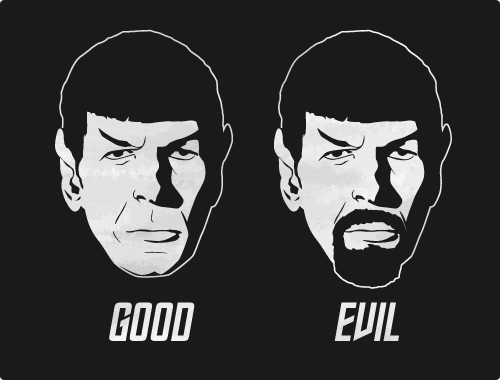 I grew up watching the original series and Spock was always my favorite character in the show. It might be a nice trip down Memory Lane for me. It should definitely be that. At our screening, they actually showed a vintage preview for a star trek film, one that he directed! Yes, it’s remarkable that so many people related to a character who was only half human! LOL Tells you quite a biut about our soceity. Some enthusiasts were really excited to see footage from the show in HD for the first time. And they also showed footage from the original pilot…where the captain was a guy named Pike…everyone from that show was scrapped except Nimoy. Yes, Pike was the Captain in the pilot. (Shows you I am a nerd when it comes to Star Trek). Thank you for sharing this. The subject was fascinating. Have a great week. Spock on review…I’m 93.7 % sure Nimoy was Canadian as is Shatner…any mention of where Nimoy grew up? Nimoy grew up in the west side of Boston according to the documentary, and I assume he was born there also. Shatner definitely was born in Canada – in Montreal, in fact, the city where this film festival takes places! Jay beat me to it – incidentally, James Doohan (Scotty) is also Canadian so we can claim two of the original cast. Are you guys in Montreal now? Boston is almost Canada…except the tea thing. We’re back in Ottawa now since Montreal is just down the road from us (about a two hour drive). We’ve been to Boston a few times….just last summer for a baseball game, actually! This sounds awesome. I’m not even s Star Trek guy (in the least), but I would gladly dial this one up. Appreciate the heads-up! Yeah, I really found you don’t have to be a fan, it’s endearing and interesting either way. I’ve seen Jason Alexander’s Shatner impersonation–not only is it spot-on, it’s hilarious. There are many great Nimoy stories and I’m very sorry DeForest Kelley, who played Dr. McCoy, couldn’t be around to share some. McCoy and Spock had an adversarial on-screen relationship but I got the impression they got along very well off-screen. And there’s a great story Nimoy tells about getting phone calls from fans in his hotel back when “Star Trek” was still on the air. I hope it’s included. It’s a story he told in both his books, I Am Not Spock and I Am Spock, and he also repeated it for Shatner’s book Get A Life!. I don’t remember the story about calls to his hotel room but in the documentary it is mentioned that during the first season of Star Trek, Leonard Nimoy was still listed in the phone book! That of course led to some strange calls being received and even stranger visitors showing up looking for Spock. This was 1967 or 68 and Nimoy told the story to illustrate how passionate and well-connected Star Trek fans were even during the show’s original run. I will need to watch this having grown up with Star Trek, I was 7 when it started and I watched them all, then went on to The Next Generation, Voyager and Deep Space 9. Oh crap, I’m a geek. Ah, then yes, absolutely required viewing. Wow. I need to see this. I consider myself an part-time Trekkie. By that, I mean I am a fan of the original series and watch the movies, but none of the other shows. I definitely don’t do conventions and costumes. In other words, this doc is right up my alley. Great review. Even Adam Nimoy had never been to a convention before. It’s Star Trek light, accessible to all. This is definitely something I’ll seek out. We’ll be sure to let people know when it gets a theatrical release. To all of you reviewers, Jay, Matt and Sean: Thank you for the input on origins of the actors in the original TV series, as well as creating more interest in the documentary. It sounds fantastic! To Jay, you had me getting excited when you said you wanted to “gush!” I watched it with some enthusiasm since not much else I could do with Dad being a big fan! I will find out if available soon at the library. My Dad really loved Star Trek and we watched “Guns of Will Sonnett” (3 generations of gunslingers, Walter Brennan the oldest and the youngest was attractive. . .) the show on before Star Trek. The lead in show. Yes, gush, I really could. And suppose I kind of did. And wow, excellent memory! That’s awesome. I am a diehard Star Trek fan; I can even, sometimes, watch the worst of the series, the name of which I have forgotten. The exhibit at the Air and Space Museum is worth playing (not just seeing) if you’ve been won over. OH I didn’t know they had an exhibit on. Nice job Jay, it’s hard not to know a few things about all this Trekie stuff, but.. I’ve never been a fan..AT ALL, I’m not sure if it’s becuz it was the X’s favorite or not, but I could never get into it..at all. Passion That’s a great answer. I never heard of this movie. I definitely want to see this one. Great write-up, Jay. Really keen to see this. I’m glad I’ve sold it because it really swept me off my feet.